I was scanning some old slides and found this picture of Tigger, the dog I had from when I was five to 20 years old. 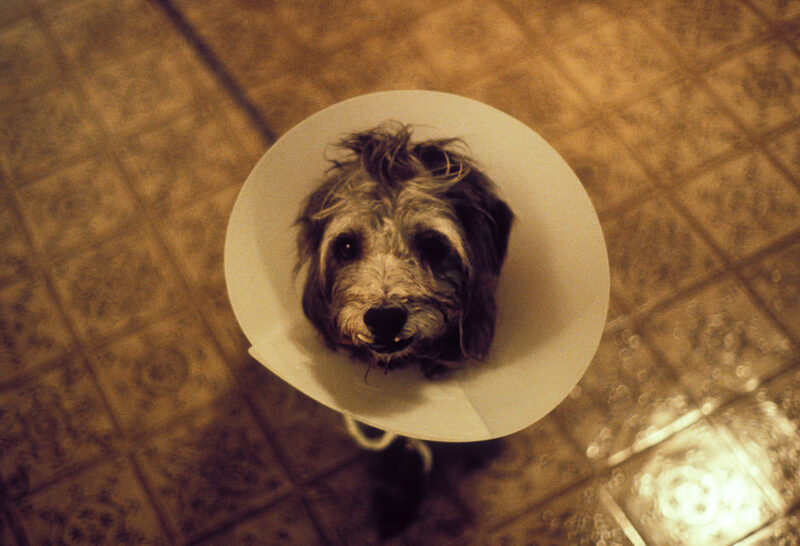 She was never happy having to wear the Elizabethan collar, and never quite got the hang of it, constantly bumping into walls and other apartment obstacles with it. It was a source of endless enjoyment and pity for me.